The nine hole golf course is situated within a private, secure housing estate called the Theewaterskloof Country Estate 8 kilometres from Villiersdorp on the R43 to Hermanus. Due to its unique setting, relatively high in the mountains and on the eastern shores of the Theewaterskloof Dam, it has become one of the sought-after areas in the Overberg. The golf course is attractive and testing and the lakeside setting, fynbos, mountains, orchards and vineyards all give it a lovely rural setting. Spectacular views across the dam and the Franschhoek Mountains provide the perfect backdrop for enjoying a round of golf. 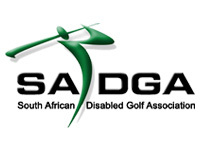 The golf course is rated in the top nine hole courses in South Africa by the Golf Digest. It is common knowledge with local golfers that the greens are amongst the best in the Western Cape. Although there are only nine greens, the course play like 18 holes, as there are different tee boxes on all holes varying the distances and angles to the fairways and greens. Visitors are always welcome and tourists should take the opportunity to play a round at this club. The green fees are very reasonable. The course is within an hour’s drive from Hermanus, Kleinmond, Franschhoek, Paarl, Worcester, Caledon and the northern suburbs of Cape Town. The club can be contacted on 028 840 2213.